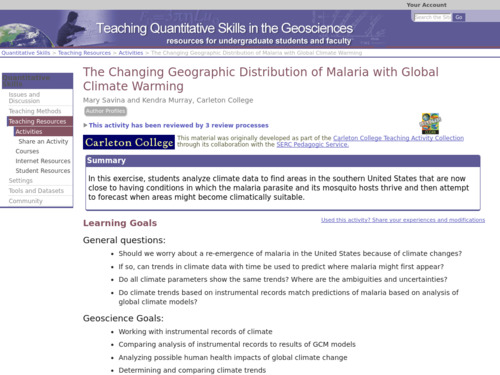 In this classroom activity, students analyze visualizations and graphs that show the annual cycle of plant growth and decline. 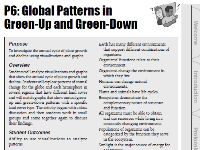 They explore patterns of annual change for the globe and several regions in each hemisphere that have different land cover and will match graphs that show annual green-up and green-down patterns with a specific land cover type. 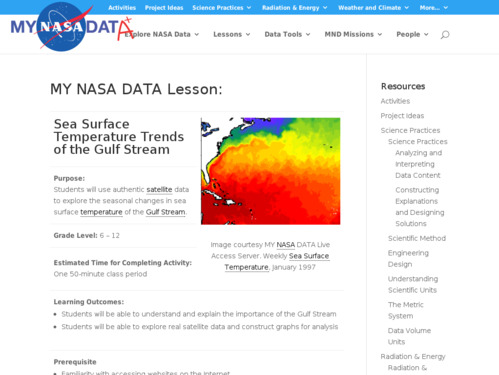 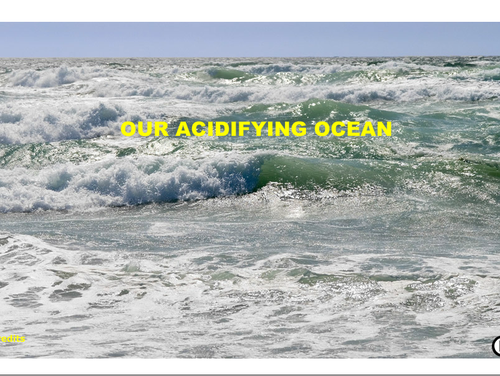 In this activity, students use NASA satellite data to explore the seasonal changes in sea surface temperatures of the Gulf Stream. 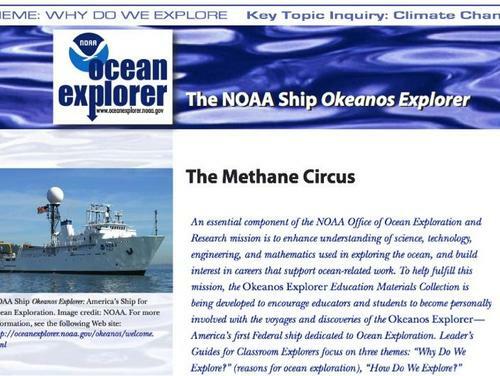 Students use NASA's Live Active Server (LAS) to generate data of sea surface temperatures in the Gulf Stream, which they then graph and analyze. 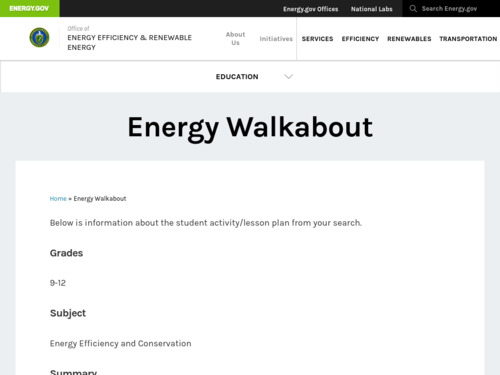 In this activity learners work in pairs or small groups to evaluate energy use in their school and make recommendations for improved efficiency. 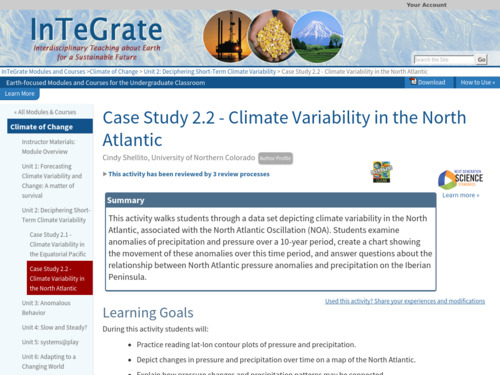 Students create and use an energy audit tool to collect data and present recommendations to their class. 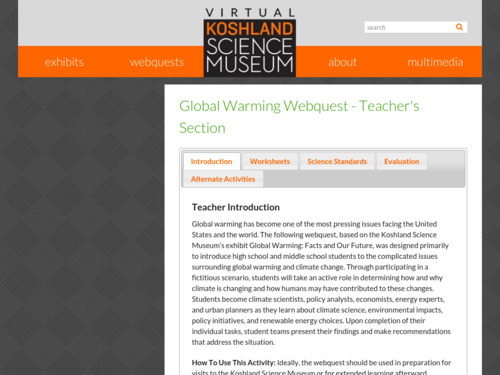 Further communication at the school and district level is encouraged. 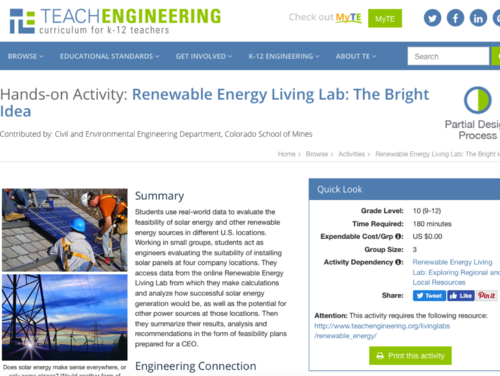 In this activity, students play the role of energy consultants to a CEO, assessing and documenting the feasibility, cost, and environmental impact of installing solar power on 4 company facilities with the same design but in different geographical locations.